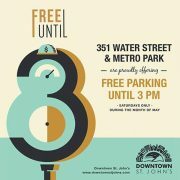 MetroPark – in conjunction with Downtown St. John’s is hosting free parking until 3:00 pm every Saturday all during the month of May. We’re located on Duckworth Street – conveniently close to the waterfront and downtown shopping, nightlife and restaurants. Come and enjoy free parking while you shop, eat and play Downtown! 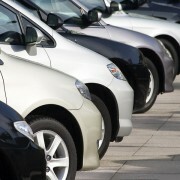 We’re making it easier for you to find a parking space at reasonable rates in Downtown St. John’s! As of February 1st, 2016, the EVENING and WEEKEND maximum rate is $5.00 and the DAILY MAXIMUM is only $12.00. 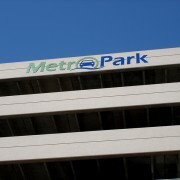 We hope you come to MetroPark on Duckworth Street for a safe, easy, convenient… and now more economical place to leave your vehicle while you shop and play in our downtown.